Creative, quality picture framing to present, protect and preserve your precious art, images and collections. 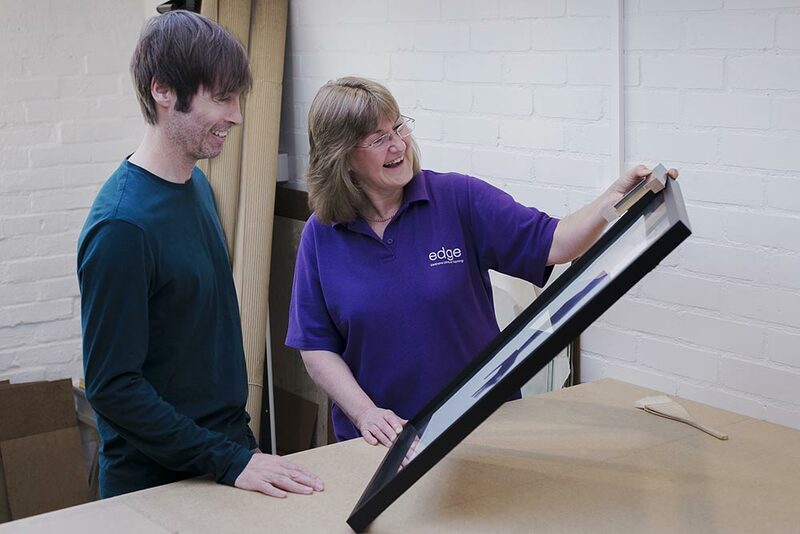 Edge Bespoke Picture Framing is a friendly, professional picture framing service based in Hythe, Kent. 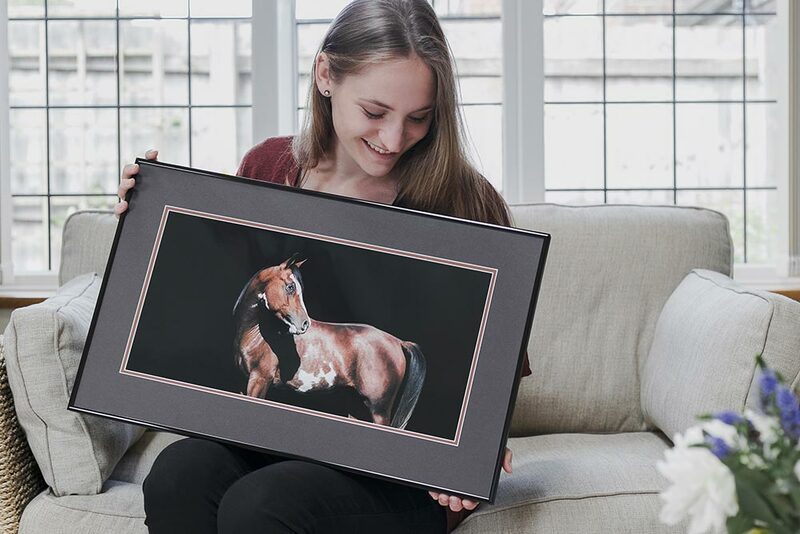 We’re passionate about presenting and bringing out the best in your artwork, photography, textiles, collections and treasured possessions, anything you would like framed; but more than that we want you to really enjoy your involvement in making them look great. Whether you’re designing an interior, preparing for exhibition or just not sure how you would like to see something framed we’re here to help. It will be transformed into something really special, and can be preserved for the future. I’m passionate about horses and photography, and really enjoy my job working in the world of equestrian competition. I’ve photographed hundreds of beautiful animals but Rhockefeller has always been just that little bit special. I decided he was just too gorgeous not to have on my own wall. Your work will look stunning and be transformed into something special. Your work will be protected from physical damage and environmental nasties. The life of your work will be extended for future generations to enjoy.